Back in December, the subject of gender neutral graduation gowns had been circulating the school and ensnaring the students in heated debates after senior class advisor, Samantha Hoyo brought forward the idea for the Class of 2017. The tradition of having blue robes for boys and white robes for girls would be changed so that every student, regardless of their gender, would wear a robe with both of the school’s colors. This way the entire class would be united as one instead of divided by sexes. It would also create a more comfortable environment for transgender students who have to go through the difficult process of picking a gown color. Many are opposed to this idea and vocalized their views by taking up a chant for the old (two color) tradition of gowns at the class meeting where this idea was presented. Opposition to the idea has occurred in other schools. 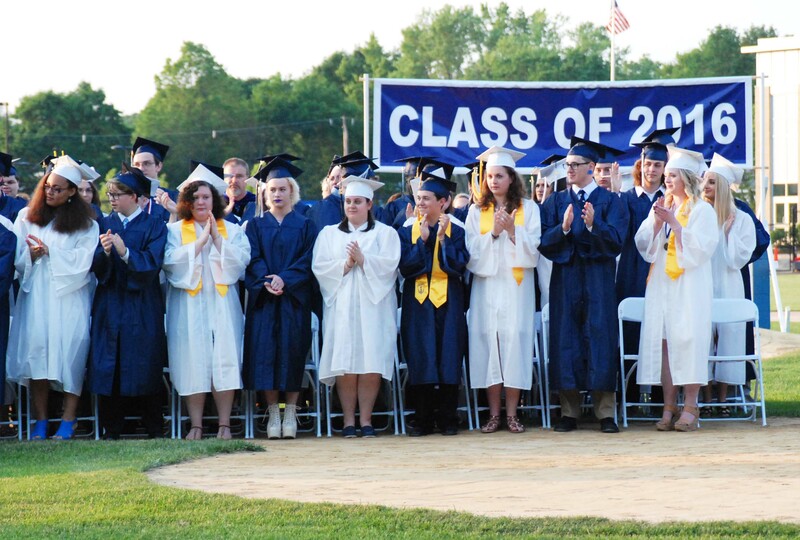 The idea of having all students wear the same color gown at graduation has been shelved for now until there is more discussion with student council and other members of the school community, including parents and faculty. For information about another school’s experience dealing with this issue go here.